Hi, everyone! Schools in our district are already back and summer is officially over!! But I'm sure many of you have kids that are still enjoying summer break and not back to the grind yet! 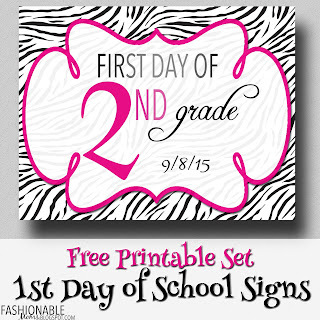 So, here is a new zebra/pink set and green dots set of First Day of School signs! Enjoy! Download Zebra HERE and Dots HERE. 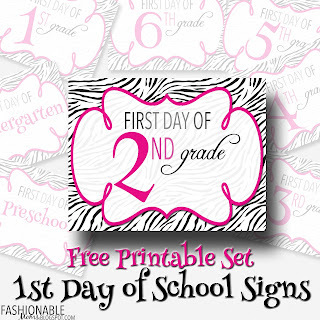 Tag your photos on social media with #fashionablemoms or #myfashionabledesigns so I can see your little ones all spiffed up for their first day of school!!! 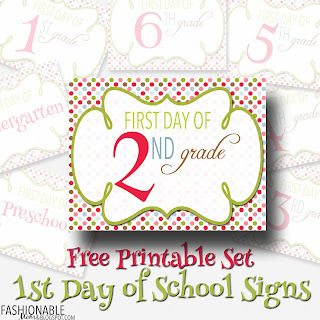 Import files into Word, picmonkey.com, or your own software to add the date! Zebra background purchased from VonDigitalDesigns on Etsy. Frame purchased from coloryourway on Etsy.